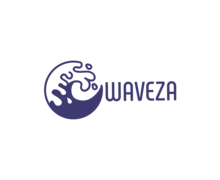 How To Create a Wave Logo? When seeing blue waves, one immediately thinks about the big, endless ocean. However, water is not the only element that has waves. Did you know that there are acoustic and electromagnetic waves as well? It’s safe to say that the world around us is made of waves! 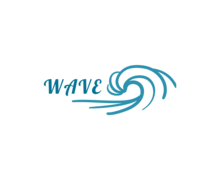 Waves are mostly associated with fisheries, aquariums, water parks, and sea resorts. In the 20th century, scientists discovered acoustic and electromagnetic waves. While we cannot see them, they can directly affect our physical condition on a daily basis. If your business has to do with electrical appliances, a stylized wave will look great on your emblem. If you’re managing a water-themed project, don’t hesitate to combine a wave with the images of colorful fishes, seashores, rocks, and palms. When it comes to sound waves or electromagnetic waves, abstract images and blurred patterns will do just right. Regardless of your preferred style (retro, vintage, classic, etc. ), experimenting with shapes and colors is always a good idea. As for colors, explore the possibilities of blue. See what you’ll get if you mix blue with green, purple, orange, red, white or black. As a wave symbolizes constant movement and change, try unconventional color transitions. Forget about limitations and trends and let your imagination roll free like waves!What’s your opinion about the wave emblems created by Trade Winds Apartment, Philips, VAIO, and New Wave? 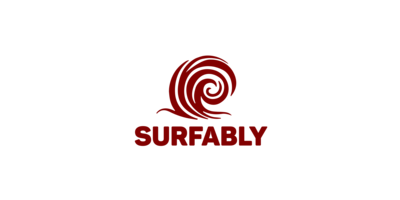 How do I create a wave logo for my brand?